The holiday season creates many opportunities for small business success. 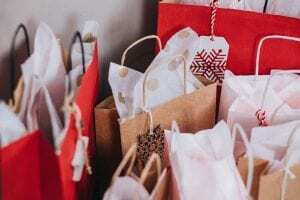 During this busy shopping season, especially with the recent movement to “shop small,” local retailers can attract new customers, increase sales, and build momentum for the year to come. However, those things don’t just happen by accident – it takes strategic effort to turn the holiday shopping season into long-term success. We’ll discuss a few tips here, courtesy of Total Retail. Email marketing remains an important tool in keeping former customers connected and excited about a small business and its products. Consider sending periodic email newsletters with product suggestions, event information and special offers. Integrate your email marketing platform into your point of sale system, if possible. Make your contact list a priority – offer a discount for signing up, and you’ll be able to keep in touch with those one-off holiday shoppers year-round. But how can small businesses attract new customers? Social media is a huge tool here. Focus on developing relationships with holiday shoppers rather than simply building an audience. In-store events are another great way to get more traffic, and to establish those essential customer relationships. Social responsibility goes hand in hand with the movement to shop small. Customers want their dollars to make a difference, especially during the holidays. By allowing them to support causes through their purchases, you’ll ensure they leave with a positive impression and want to come and shop again. The retail market is cluttered, and it can be challenging for small businesses to be seen and heard. Find what makes your store unique, and develop a retailing and marketing strategy that plays up your individuality. Customers will feel like they’re experiencing something special, and word of mouth will help your business grow. Retail Tech carries a wide variety of new and refurbished POS equipment. We offer installation and staging, PoS printer repairs, and more. Contact our POS systems specialists for help finding the perfect point of sale solution for your retail store.